· Develop and coordinate the annual Student Recruitment operations plan and ensure it is implemented in line with overall student recruitment strategy and objectives. The operations plan will involve the coordination of RCSI participation in university open days, recruitment fairs, information evenings, school visits, guidance counsellor conferences and collaborative recruitment events which may be cross-functional in nature. · Represent RCSI at external Student Recruitment events including the delivery of presentations to audiences of prospective students and key influencers such as parents, guidance counsellors etc. · Liaise with staff members across RCSI to ensure appropriate support for undergraduate student recruitment focused events and activities. · Support the Head of Student Recruitment in broadening the mix of international students and in the development of new business opportunities in key markets by working with a portfolio of agents and other key stakeholders. · Research, analyze and report on information about EU and Non EU Student Recruitment trends, to inform RCSI Student Recruitment Strategy, including the analysis and manipulation of data sets. · Monitor and evaluate recruitment activities, including the ability to design and implement monitoring systems, analyze statistical data and produce reports to inform Student Recruitment Strategy. · Assist Marketing with planning and implementation of communication campaigns including social media and overall lead follow-up. This will involve having an input into the production of the undergraduate prospectus and other print materials together with an impactful online presence in a variety of platforms. 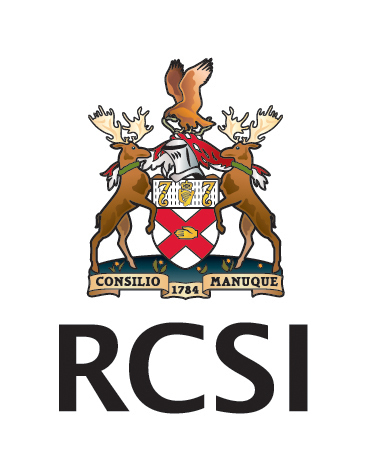 · Develop training programmes for RCSI staff members involved in undergraduate student recruitment activities to ensure consistency in delivery of messaging. · Keep up to date with developments and best practice in Student Recruitment. · Ensure the delivery of a broad range of high quality services, informed by relevant feedback, benchmarking, research and development of an environment of continuous improvement. · Proactive in mentoring other team members with a proven track record of leading and contributing effectively to groups/teams. · Other duties and projects that may arise from time to time and as directed by the Head of Student Recruitment. · Exceptional communication skills, both verbal and written, as well as an ability to communicate clear, consistent messages in a variety of media. · Strong interpersonal skills with proven experience of building and managing relationships with internal and external audiences. · Strong organisational, administrative and planning skills. · Excellent IT skills and proven expertise in using Microsoft Office, particularly Excel, Outlook and Powerpoint, as well as Prezi and other digital media. · Proven leadership in the implementation of service redesign and use of IT in the delivery of services. · Strong capacity to work with statistics and proven experience of data management and ability to analyze large volumes of data to inform effective decision-making. · Demonstrable experience in managing projects and workloads to achieve timescales, budgets and targets that contribute to department priorities. · Evidence of significant experience in a busy administrative function, with demonstrated ability to work independently and as part of a team. · An ability to work at pace and in a complex environment. · An ability to use own initiative and put forward ideas. · Strong content writing skills including developing messaging, proven record of conceiving and developing engaging, original content. · Basic design skills including the ability to produce visually appealing content for presentations and other media. · Proven capacity to make sound and well informed decisions, understanding their impact and implications. · Knowledge of CRM systems, particularly HubSpot and/or Microsoft Dynamics, would be a distinct advantage. · Knowledge and experience of email marketing, search engine optimization, pay per click advertising and web analytics would be an advantage. · Knowledge of new and emerging social media and digital technologies would be an advantage. RCSI is proud to be an equal opportunity employer and welcome applications from all suitably qualifiedpersonsregardlessoftheirgender,civilstatus,familystatus,sexualorientation,religion, age, disability orrace.